Rose Industrial Management has created an innovative approach to the metal recovery industry. Founded on transparency, efficiency and sustainability, we have a unique agency structure. Unlike the typical industry participants, we work directly for you, the asset owner. Our goal is to optimize your metal asset recovery. The Rose business model is a paradigm shift from the historical norm. We are different for a reason. Rose will never be a buyer, transporter or processor because doing so would create an automatic conflict of interest with our clients. Rose provides clarity and transparency, reducing inefficiencies and aligning with asset owner’s financial interests. Rose aggregates material, reduces handling, increases payloads and implements processes that improve compliance and reduce carbon footprints. Rose provides rich data for evaluation, analysis and compliance validation. The value of an asset can pale in comparison to its potential liability. Rose vets contractors based on HSE performance. We track your assets from cradle to grave. Rose can be instrumental in helping you promote an environmentally friendly brand. Our rich, validated data can help demonstrate your focus on HSE and sustainability. We help you document the stories your shareholders and the public want to hear. Our values are embedded in our company’s practices and are reinforced in review criteria and promotion policies and instilled into the operating principles of daily life at our firm. Rose could not build a coherent culture without great people who share its core values and embrace those values in their daily actions. Rose has a unique history and a unique story. As a core element of our culture creation, we are constantly crafting our story into a narrative that is engaging and truly authentic. Having an atmosphere of fun in the workplace impacts the values and behaviors of our people. There are other factors that influence culture. But these five components have provided Rose a foundation for shaping its culture. Inspiring leadership with decades of experience. With more than 30 years of experience, Eliot Rose has served as the CEO of several companies involved in the processing, brokerage, manufacturing and demolition aspects of the industrial metal recovery chain. His resume includes such corporations as Rose Metal Recycling, Rose Steel Center, Crow Corporation, Xtreme Scrap and Recycling, LLC, and Empowerment Unlimited. Through his work, he has focused on standardizing systems, increasing operational efficiencies and refocusing marketing/positioning strategies. David Rose has been an integral part of Rose, past and present. As a member of the former Rose Metal Recycling team, he oversaw all aspects of daily scrap operations. In 1996, he became COO and was instrumental in the turnaround of Rose Industries, making the company more progressive, forward-thinking, and ultimately, productive. Joe Trout is the vice president of finance at Rose Industrial Management. After earning a BBA in finance with honors from University of Houston, Trout spent the past 25 years building an impressive financial career. Starting as a senior investment analyst at Metropolitan Life Insurance, he went on to spearhead special projects and was, ultimately, given the responsibility for all aspects of a commercial real estate portfolio valued at more than $1 billion. With more than 30 years of experience in sales and sales management, all in service-related industries, Scott has raised millions of dollars in investment capital and has owned, operated and sold profitable businesses in both oil and gas and financial services industries. His efforts originate from his desire to build and sustain quality cultures and teams, where the creative process develops an atmosphere where work often feels like play. Scott graduated with a BS from The University of Texas in Austin. 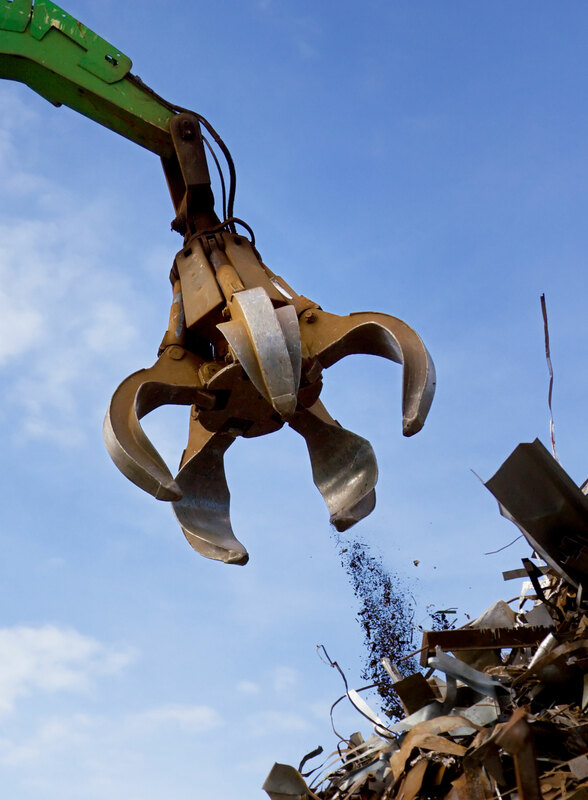 Matt Hardy has more than 10 years of experience in scrap and demolition operations, as well as extensive training and time in coastal and offshore operations. His innovative work with the Texas General Land Office and U.S. Coast Guard will be replicated with Rose Industrial Management’s help in several coastal regions. He also helped design and operate one of the largest mobile marine shearing operations in the U.S.